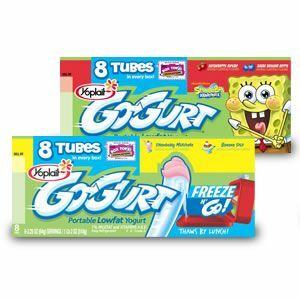 Tobins' Tastes: Publix Yoplait Go-Gurt Event & $25 Publix Gift Card Giveaway! Publix Yoplait Go-Gurt Event & $25 Publix Gift Card Giveaway! Not only are Yoplait® Core Cups filled with delicious, flavorful creaminess, but they’re also a winning combination of nutrients – the only leading yogurt with calcium and vitamin D in every single serving cup! Go-Gurt® — specially made to freeze and thaw by lunchtime – are a great source of vitamins and nutrients that your kids need for building strong bones. And did you know that Yoplait® Core Cups and Go-Gurt® contain no High Fructose Corn Syrup? If you see any of my weekly shopping posts, you know what we love yogurt in our house. And I just took advantage of the current BOGO sale and a good coupon to grab a great deal on Go-Gurt earlier this week. Check out my shopping trip for details! And now for a giveaway! Get excited because MyBlogSpark and Publix are giving one lucky Couponing & Cooking reader a $25 Publix gift card. To enter use the Rafflecopter widget below. The giveaway runs through midnight on Tuesday, July 30th. Be patient, it may take a few seconds to load.